If you’re like most families, you probably enjoy spending as much time as possible out on your deck enjoying the fresh air and the deck that you invested so much time and money into. What you may not consider often is the safety of your deck. Although for the most part, decks are built to be sturdy, they can also have really slippery surfaces especially when wet. This could be a serious safety hazard for you and your family. However, there’s no need to worry! 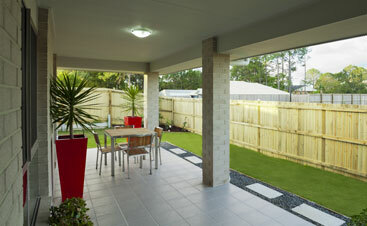 There are plenty of great solutions out there for you to make your deck less slippery and safe for walking. In this blog, we’re going to talk about some of these materials. 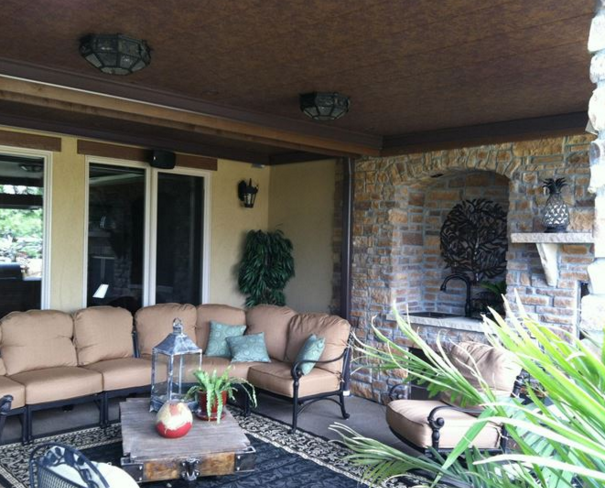 One quick fix to make your deck more slip-resistant is to add rugs and mats wherever possible. If there’s an area of your deck that sees a lot more foot traffic than the rest, find a long mat or rug that can cover the area preventing the risk of someone slipping on it. 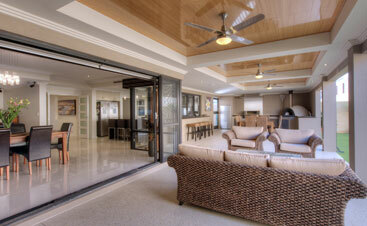 Right outside the door would be a great place to have one and it would prevent wear and tear on the deck as well. If you have a built-in pool or hot tub, try putting some mats around it so that when people get out, they won’t have a chance of slipping and falling. Be careful not to put the mat or rug in an area that it can fold over easily, creating a potential tripping hazard. For example, if a mat is at the top of the stairs, someone may flip over part of it as they go up. Or if it’s around a corner, people may not see it and trip over it. Be sure to see what options are out there for you as well. Although a standard mat won’t look great on your deck, you should be able to find one that matches the style and design of your deck. Another option for you to avoid a slippery deck is to add a non-slip coating. 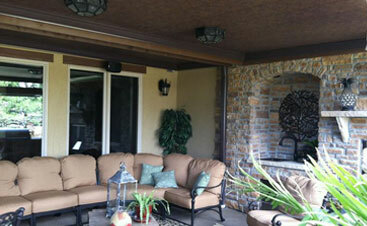 These coatings are acrylic-based liquids that can easily be applied to your deck like paint or a sealer. The coating will give your deck a texture that makes it easier to walk on without slipping. These coatings can be used for just about any decking material like wood or concrete and can even be used to color your deck if you choose. If not, you can always opt for a transparent coating that won’t change the color of your deck. Non-slip coatings are a great way to prevent slips and don’t require you to call a contractor or specialist to have them applied. Abrasive tape is a material you can get with a simple trip to the hardware store. 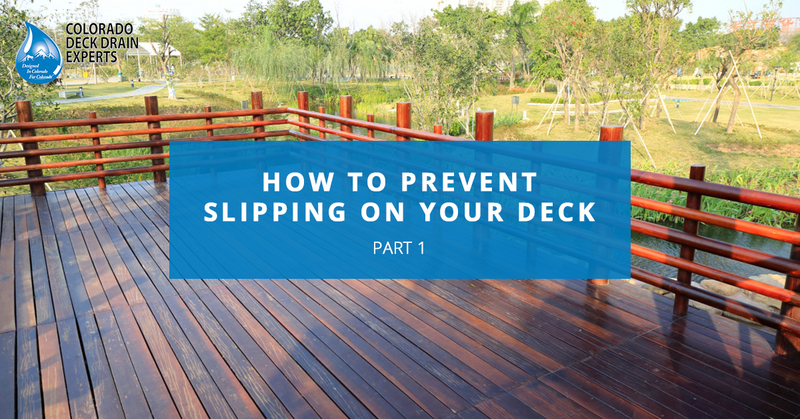 Like anti-slip coatings, this can be applied to your deck without help from a decking expert and is an effective way to prevent slips. The downside to this option is that they won’t look great on your deck if overused. They can be applied to your stairs or by a pool, however, if you put too much, it may ruin the design of your deck. Additionally, this tape will begin to curl at the sides and eventually come off, so you’ll need to reapply. If you don’t want to apply regularly, you can purchase screw-down textured strips that won’t wear out as quickly. If you really want to make your underdeck safe for you and your family, contact the experts at Colorado Deck Drain Experts. 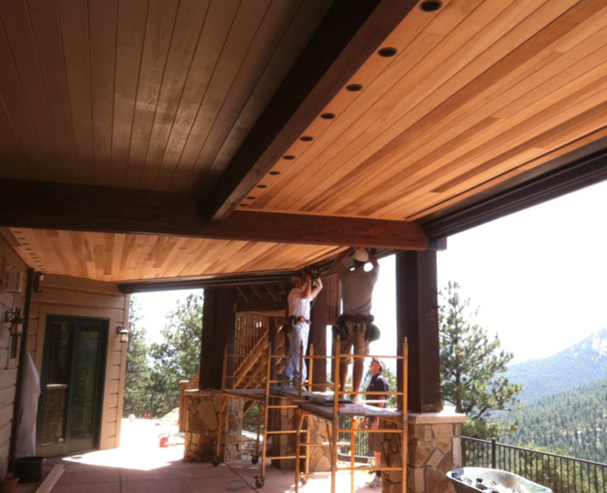 If you’re fortunate enough to have an elevated deck on your Colorado home, chances are, you want to do everything you can to make the space below that deck usable all year round. However, due to Colorado’s extreme weather conditions, your lower deck area may be too wet and slippery to use safely. 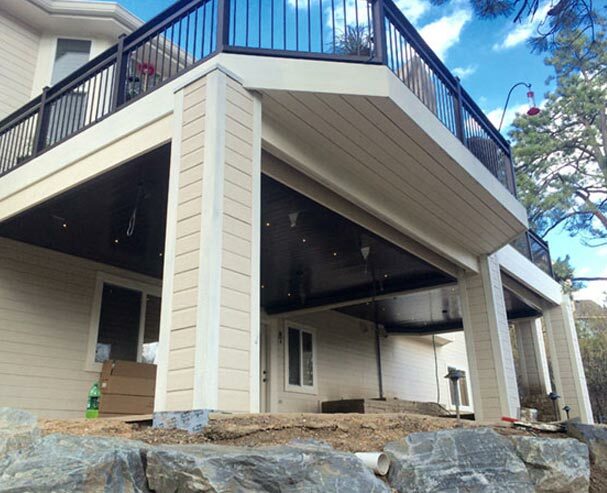 Contact us at Colorado Deck Drain Experts and we’ll install either our Dry-B-Lo Concealed System or our Dry-B-Lo Contemporary System allowing you to enjoy your deck to its fullest. If you’d like more information about these systems, visit our site or contact your Top Rated Local® Deck Drainage experts today!